Join the international movement to de-fund DAPL! Portland Rising Tide has created a How To Move Your Money packet because we want folks to feel informed and empowered to continue this campaign wherever they live! Print out the 5 PDF documents, downloadable via the links below, on regular 8.5×11 paper, and cut to the appropriate sizes. Download them individually by clicking the links in the following bullets, or download this zip file that contains the entire kit. Use this “Move ur cash FAQ” if you are in Portland. 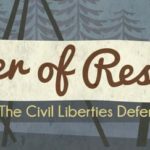 If you are outside of Portland, use this FAQ. The “Move ur cash Why & How” and “Move ur cash FAQ” are meant to be printed front-to-back. They will need to be cut into double-sided half sheets. QuarterFront4up and QuarterBack4up are meant to be printed 1-2 sided, so that they copy double-sided. They need to be cut into double-sided quarter sheets. The letter can be printed as is. Stuff all the documents except for the quarter sheets into manila envelopes. 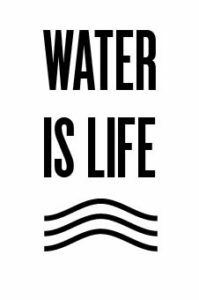 If you choose to, create a stamp with the Water Is Life.jpg design on it so you can decorate each envelope. Gather your team (or teams)! Go over your talking points and strategies. Pass out packets and quarter sheets. Head to the banks! Remember, we aren’t protesting the employees of the bank, or the customers that are coming in. Be friendly and respectful! When approaching folks, we suggest starting with something simple like: “Hi! 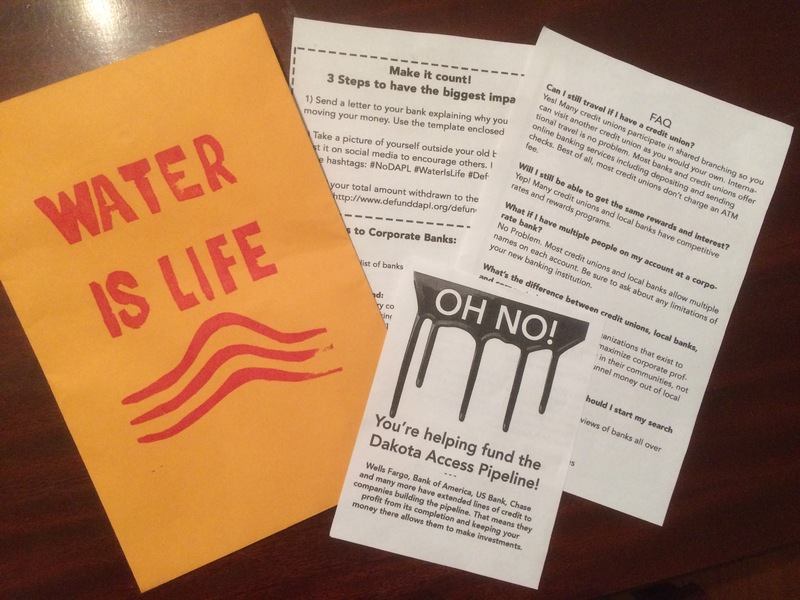 Did you know that _____ Bank is a major funder of the Dakota Access Pipeline? Then hand them the Quarter sheet with “Oh No” facing towards the top, and if they are still attentive, say something like: “We are out here to encourage folks to move their money to more socially responsible institutions. Here is a packet with information about local banks and credit unions, and specific steps on how to move your money.” If they are receptive, give them the packet, if not, move on to the next person! The DeFundDAPL.org withdrawal tracker list current withdrawals at over 26 million dollars. Let’s make this number skyrocket!